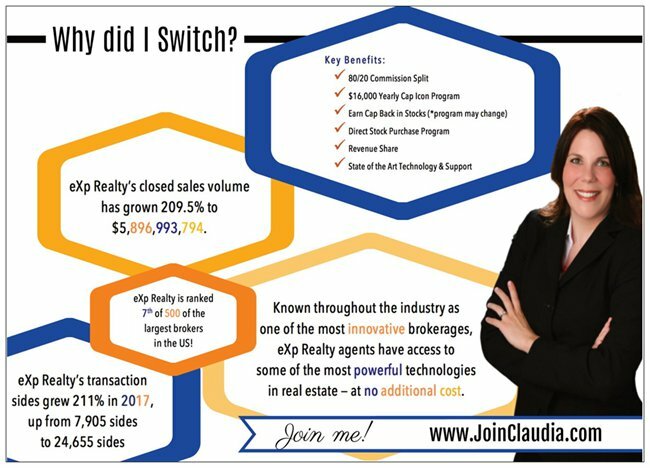 Ready to make the eXp Realty switch? Sign up here and contact me to help you get everything you need to get started. 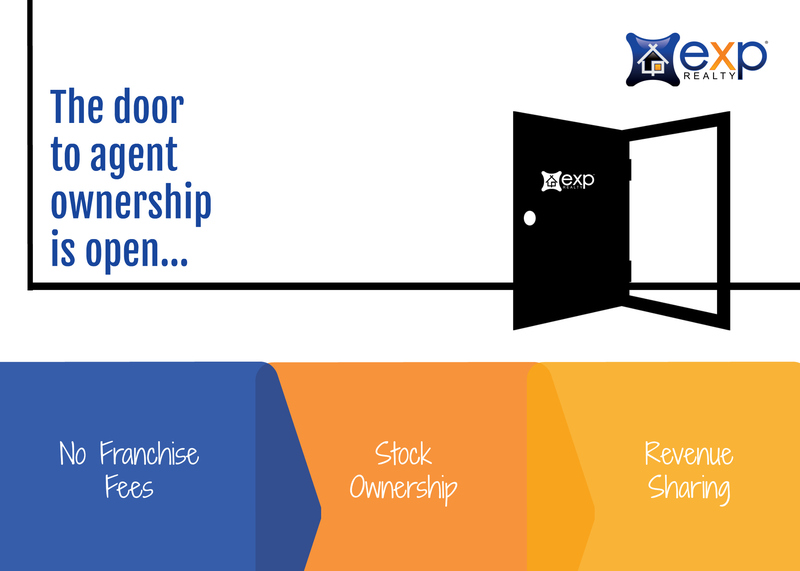 Ready to make the switch to Agent Ownership at eXp Realty? Sign up here and contact me to help you get everything you need to get started with Agent ownership at eXp Realty. This is truly a very quick overview as I know you are all very busy and you generally want to get the bottom line and not hear all the fluff. So the above presentation focuses on the most important items and I will also tell you some of my personal experience. If you have questions about eXp Realty or would like to hear more please call me today at 571-446-0002. Looking at the numbers of how many agents are joining Agent ownership at eXp Realty and are seeing what I saw when I decided to join, proofs I made the right decision. Like I said in my presentation I am mad at myself for not acting quicker. I saw the writing on the wall when many of the mega agents and influences moved their business to eXp Realty. At that point however, I was not ready to make the move. I was comfortable where I was, not ready for a change and I might have been complaisant as well. Regardless of what it was that took me so long to discover what eXp Realty is all about, I am very happy I finally decided to look into it and as soon as I saw what eXp Realty had to offer I made the decision to switch the same day! I never regretted my move and I am very happy to being an agent owner at eXp Realty The Cloud Based Real Estate Brokerage. The other day I listened to a video Clayton Gits did with Chad Madlom, a 100 Million Dollar Independent Broker in Denver Colorado on why he and his firm joined eXp Realty. His quote is “I missed the Amazon – the opportunity to get into Amazon, I missed Yahoo, I missed Google, I missed Uber, I missed Starbucks. It blows my mind, man…I’m not going to miss this one. And the cool thing is: it’s real estate!” I could not agree more with his quote. I am glad I am part of this forward thinking company and new trend in the Real Estate Industry. In the above quick exp overview presentation I talk a lot about the powerful agent ownership and really one of the main reasons why I decided to join eXp Realty. In the above presentation I spent a lot of time on this particular slide. The Agent Ownership, really was one of the main reason why I joined eXp Realty. Being able to become an owner without having to put up a large amount of money for a franchise or to simply buy into a franchise. At eXp I became an owner immediately after closing my first transaction. I love the ICON Agent Program. At eXp I have the ability to get my cap back in Stocks. After capping an agent can work towards generating my entire cap back in stocks. Being able to earn back your Cap sunds so much better than anything else out there right now. At eXp I saw the opportunity to becoming an owner and generating an additional income stream in my business. This will help me now and in the future. Basically if an agent is a high producing agent they can get their Cap back in stocks helping the agents accumulating wealth. As a Real Estate Agent I preach to my clients about wealth building all the time. By becoming a home owner my clients can accumulate wealth, same is true for me as a Real Estate Agent. By having ownership in a company I can accumulate wealth. At eXp Realty I have the option to purchase stocks with every transaction I am doing at a discount. Wow. Can you imagine having an opportunity like this and passing it up! 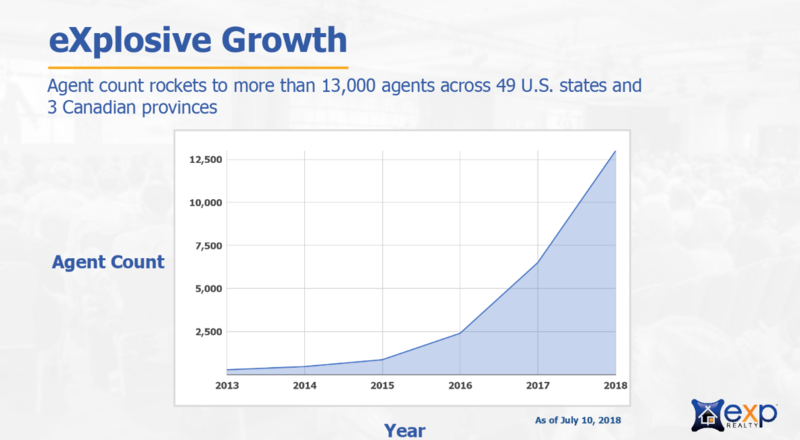 When I initially saw the eXp presentation the Agent ownership is really what convinced me to joining eXp Realty immediately. I even mention in the above presentation that I am mad a myself for not making the move quicker. 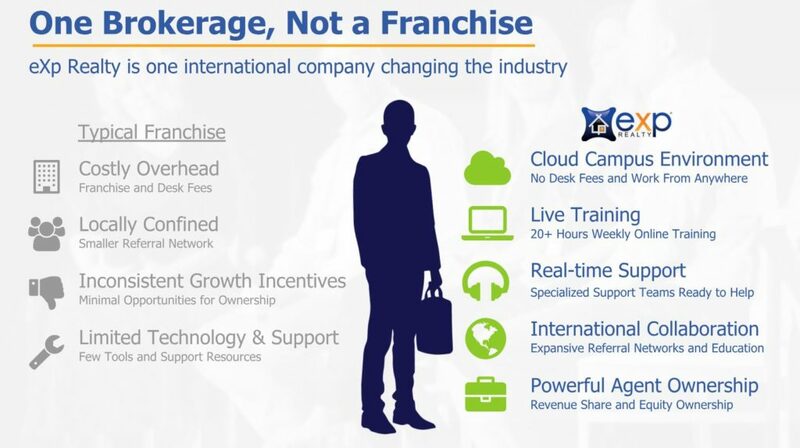 eXp Realty is not a Franchise and does not have the high fees a regular Real Estate Brokerage has. Since everything is truly cloud based cost can be controlled and agents are really not confined by any location. eXp Agents can collaborate nationwide with other high producing agents and since all the agents are owners in the company everyone is interested in seeing their fellow eXp agents succeed. There is a lot of live training for agents to attend and also a lot of recorded training for agent to catch up on their time. The training is one item that attracts many agents but also the fact that agents can get Real Time Support from technology, agent services. Most brokerages do not have agent ownership or if they do it is very expensive for them to buy into a franchise. Here at eXp Realty agents become owners with their very first transaction they conducted. 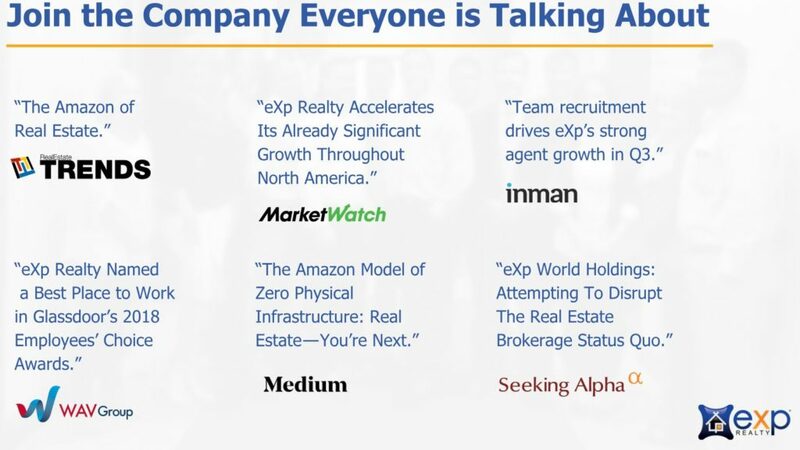 There is so much buzz going on about eXp Realty, check out some of the below quotes. Everyone is talking about eXp Realty. Don’t miss out. 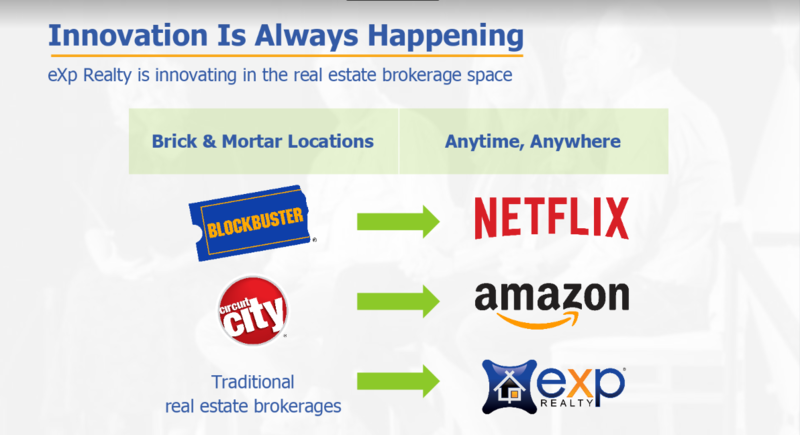 eXp Realty is a true innovator and has revolutionized the Real Estate World. There really has never been a company that has its agents as much in mind as eXp Realty. If you are looking for a new company I would recommend to taking a look at the future of Real Estate. In my opinion eXp is truly the future of Real Estate. 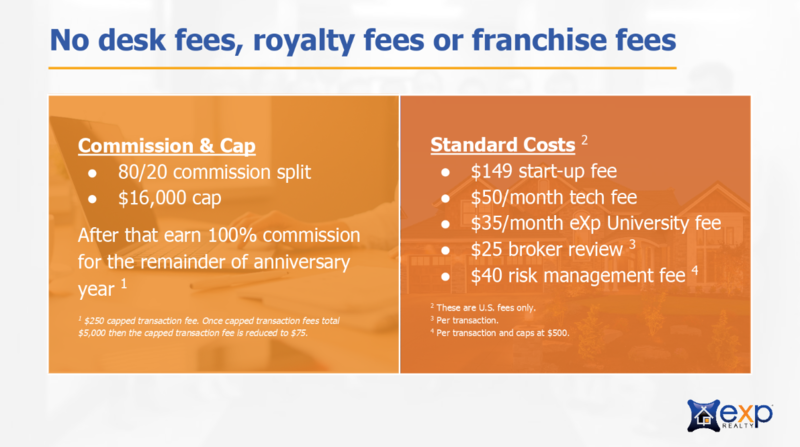 In the below slide you can see the Commission, Cap and all the Fees as an overview. 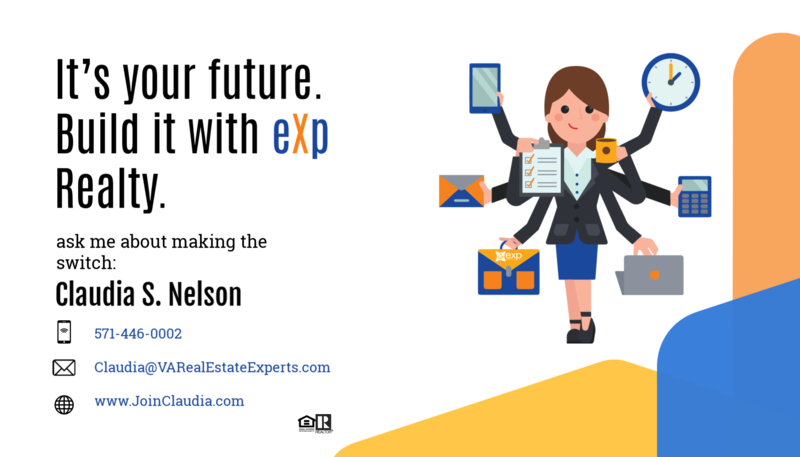 The commission, cap or any of the fees really were not a factor for me personally when I decided to make the switch to eXp Realty, but it is sure nice to have a low cap and it is outstanding to see what great tools eXp Realty offers their agents. Want to know why I made the switch? I made this video the same day I signed up with eXp Realty, I was super exited and nothing has changed since that day. I have been at Keller Williams Realty in Woodbridge VA for quite some time and I had no intention of ever leaving. I was really happy there and they provide a good home. Let me be perfectly honest here, eXp isn’t for everyone, but if you are an agent that can do without the brick and mortar business model eXp Realty is for you and you should contact me today to chat. If you are looking to speak with someone from eXp Realty Woodbridge VA call me at 571-446-0002. When I saw many of the Mega agents announce that they are moving to eXp, I just thought that’s interesting, but never really investigated it. When I saw one of my agent friends Brenda Stone and her team made the switch at the beginning of November. I immediately reached out to her and asked her to tell me a bit more about the company. She did and shared a video link with me. After watching the video I bought in 100 %. The thing that did it for me was the fact that you are automatically becoming an owner in the company. You are getting shares with your first transaction and you also have the option to purchasing shares at a discounted price with every transaction. Agent owned Cloud Brokerage, this opportunity was just too good to passing up. Especially since they are giving out a higher amount of shares now while the company is still growing. 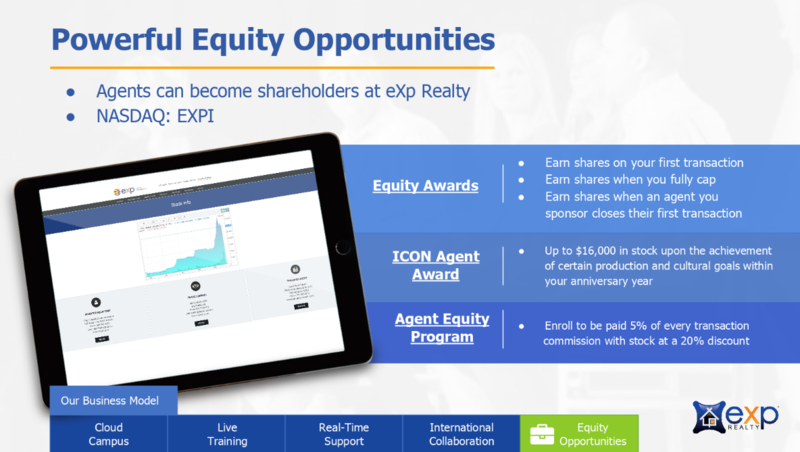 eXp Realty also offers a revenue share program. This is another reason why many agents joined. I honestly am not much for recruiting other agents and I have never been but I have to admit this is a great opportunity for someone that has a network of successful agents around them. The fact that the company is cloud based offers a greater possibility for being profitable. With so many millennial buyers and overall buyers that want to do business electronically this was a no brainer for me. They are offering state of the art technology that I can use to help serve all my clients better. I couldn’t wait to signing up asap and I am very happy at eXp Realty. If you are interested in joining call me today at 571-446-0002 to discuss.